"SportVAS” enables the users to make video analysis of sport matches and in particular to scout teams during competitions. 13 January 2010, Vienna – QuESD NV of Belgium and the EHF are announcing their new partnership. QuESD NV has developed and sells video analysis systems named “SportVAS”, enabling their users to make video analysis of sport matches and in particular to scout teams and players during professional sport competitions. 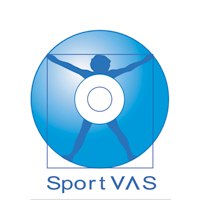 SportVAS has been adapted from renowned systems like SoccerLAB to handball and beach handball with the support of the EHF Competence Academy & Network (EHF CAN).